Before coming to college, I knew I wanted an updated wardrobe. Being trendy and cute is important. So is being thrifty. A lot of my clothing in high school was old school shirts, and now it was time to upgrade those to new UCF gear. I also knew I would need day-to-day clothing, interview clothing and new clothing for the Florida weather. However, I also knew that getting a whole new wardrobe costs a lot of money and is not completely realistic. Shopping at places like the campus bookstore, Target, and retail stores add up very fast. I needed to find a way to be economical and also find clothes and apartment decor to fit my budget. Fortunately, I have become thrifty and discovered thrift stores. Postin Share– you can buy and sell your things! Founded by a UCF student. O.U.R Bargain Store and Boutique– 911 W. Central Blvd. Orlando, FL 407-841-7578. 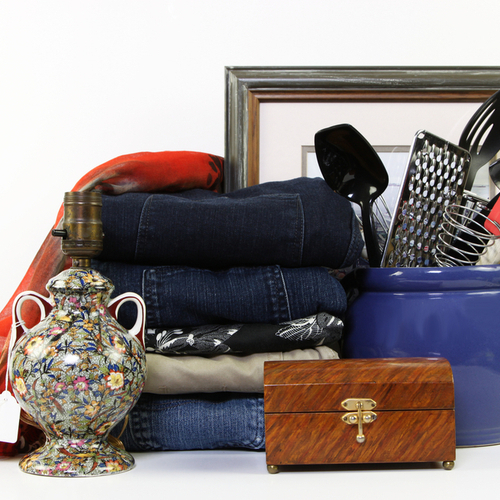 Choose a variety of items from clothes to furniture (they also accept donations of clean, gently-used clothing and household items. Proceeds to help the homeless and families moving out of the Orlando Union Rescue Mission and into a home of their own. Retromended– 930 North Mills Avenue, Orlando, FL 32803 407-674-8190. Known for their vintage clothing, accessories, and decor. A lot of the time, thrift stores have great clothing and items that you may be looking for and are hardly used for nearly half the price! It’s so worthwhile to check out what some of these stores have before going to major retailers first. Budgeting in college is no joke, so be sure to try out some of these places and get thrifty!